Christopher Tolkien's copy with his signature: Christopher Tolkien and the date: Oxford, 1952. 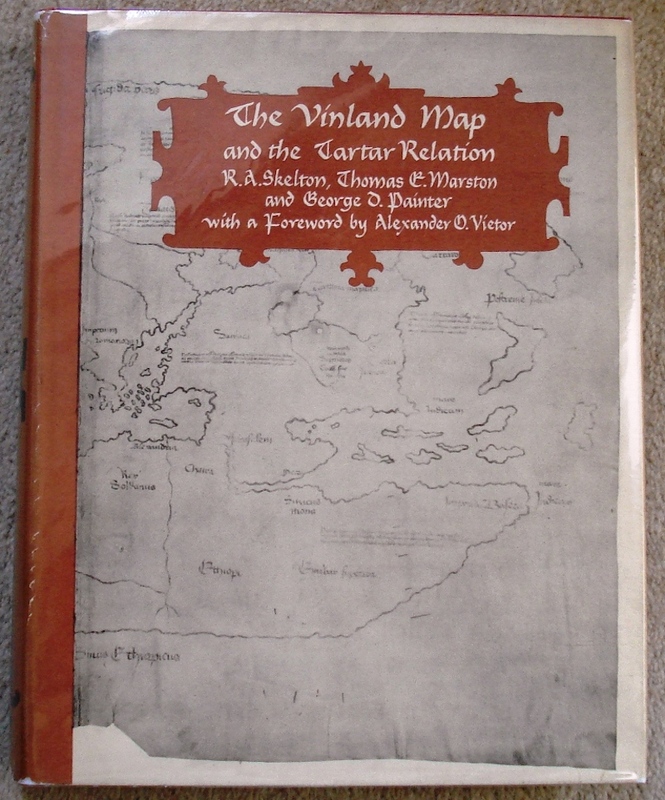 The Vinland Map and the Tartar Relation. 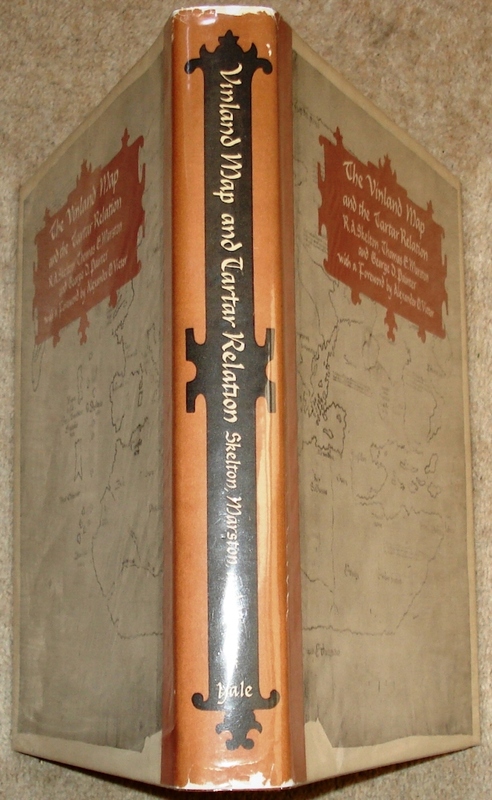 Skelton, R.A., Thomas E. Marston and George D. Painter, With a foreword by A. D. Vietor. Yale UP, 1965 folio. 19 plates, facsimiles, one folding , xii, 291pp., . G.M. Gathorne-Hardy: the Norse discoverers of America. The wineland sagas. translated & discussed by G.M. Gathorne-Hardy. Leif Ericsson's Map (cut from Newspaper) and description of this as published in the Times, Monday, October 11 1965 glued onto f.e.p. rubbed out in right top corners of half title and f.e.p. leaving the paper thin in these areas. Christopher Tolkien's copy with his signature: Christopher Tolkien and the date: Oxford, 1952. also previous other owner's name on f.e.p. and date 1975.